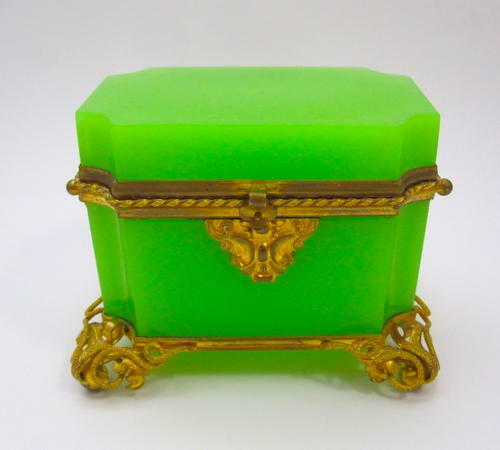 High Quality French Green Opaline Rectangular Glass Casket Box. Beautiful Dore Bronze Mounts and Double Handles. The Casket Rests on Four Intricate Dore Bronze Ball Feet. Stunning Shape and Colour !